Before I moved to Germany in 2003, I never had the "pleasure" of hanging each. and. every. single. item of clothing on a drying rack that took up half a room, then wait patiently for about two days for the clothes to finally dry only to have the clothes come off the drying rack stiff and wrinkled. I had the pleasure of using drying racks through 2014 when we moved into our current house. I pretty much demanded that we have a utility room in our house so that I could have a tumble dryer... a lovely tumble dryer. As I was emptying the dryer a little while ago, I realised I follow my own money-saving rules even when I use the dryer. First, I make sure that everything that goes in the dryer is actually dryer-friendly. This prevents any shrinkage of or damage to clothes (this is pretty obvious, I realise) and also the fewer items in the dryer, the faster the clothes will dry, thus using less energy (even if just slightly). Second, we use wool laundry balls that I bought at Home Bargains for about £3 at least a year or so ago. 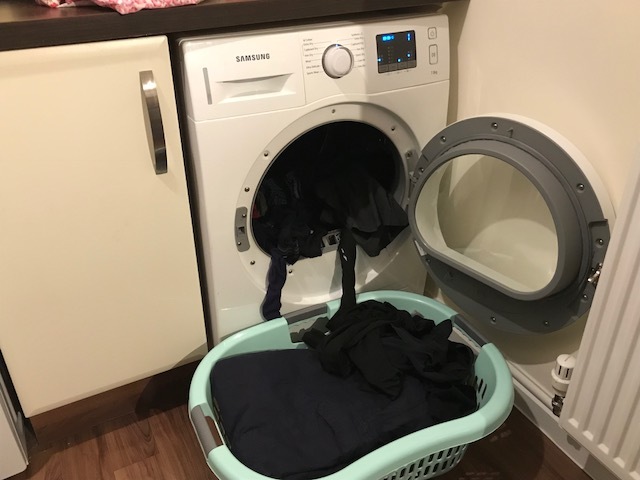 They claim to gently fluff clothes as they bounce around the drum and also help clothes dry quicker, again by hopefully reducing drying time, thus reducing the electricity used. Third, any large items like duvet covers and bath sheets only get a partial dry in the dryer then we take them out and hang them on the banister upstairs to finish drying. Again, this helps to reduce the electricity we use. Fourth, we try to stop the dryer either right before or just as it finishes drying so that the clothes won't wrinkle not only saving (my husband who does the ironing!) time and more electricity to iron the clothes. 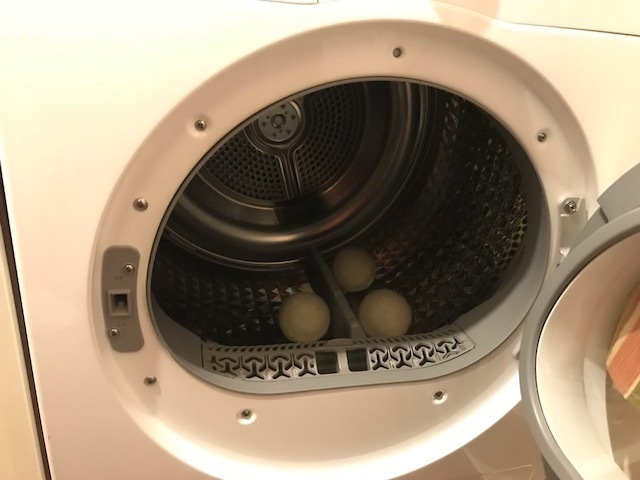 Fifth, we immediately clean the lint out of the lint trap and empty the condenser tray/reservoir/the-thing-that-holds-the-water so that the dryer works efficiently each time we use it. Periodically, I clean out the filter on the bottom of the dryer as well. 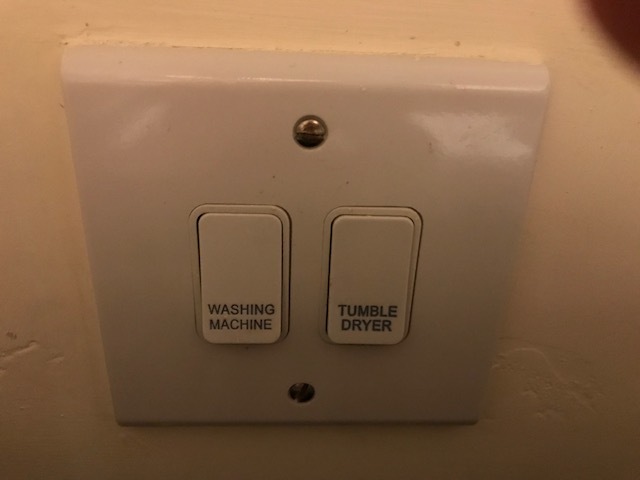 Sixth, we then turn off the dryer switch at the wall, because even though the dryer isn't turned on, electricity is still running through the machine. Oh, if you're wondering whether I don't use our dryer on the two hot summer days we have a year... nope... I know, it's my little luxury. Do you have any dryer tips or rules you follow that I could consider adopting? My 2018 Mantra: "I Have Enough"